Bill Manley founded Calare in 2003. Bill is responsible for all aspects of Calare’s business, including acquisitions, asset management, and the coordination of key business functions across the company. He is the chair of the firm’s Investment and Senior Management Committees. Before founding Calare, Bill served for five years as Executive Vice President and Head of Real Estate at REON Broadband. 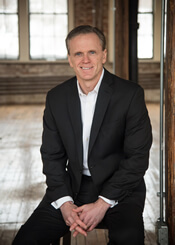 Prior to REON, he founded New England Commercial Realty Advisors in 1991. Bill graduated from Boston University with a Bachelor’s Degree in Economics. Bob Flynn joined Calare in 2003. Bob plays a leading role in the development of the organization’s strategic goals and oversees the firm’s asset management strategy with particular emphasis on the leasing, tenant relations, development, and facilities management of Calare’s existing portfolio. He is a member of the firm’s Investment and Senior Management Committees and was a Regional Manager for REON Broadband for four years prior to joining Calare. Bob graduated from the Massachusetts College of Liberal Arts with a Bachelors’ Degree in English. Mark Shapiro joined Calare in 2006. Mark oversees Calare’s financial operations, including accounting, tax, budgeting, auditing, and cash management, as well as implementation of all financial and risk management strategies. 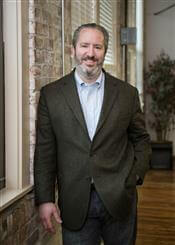 He oversees the firm’s corporate financial planning function and all financial reporting to capital partners. He serves on the firm’s Senior Management Committee. Prior to joining Calare, Mark served for 11 years as Accounting Manager with S.R. Weiner & Associates. Mark graduated from the University of Massachusetts at Amherst with a Bachelor’s Degree in Accounting and received his MBA from Bentley College. 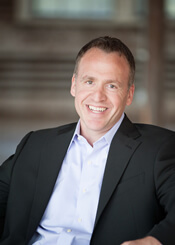 Charlie Nolfi joined Calare in 2015. 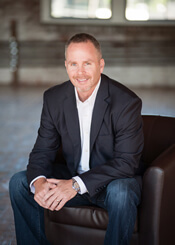 Charlie is responsible for managing client relationships and marketing Calare’s real estate products to high net worth investors, institutions, advisors and joint venture partners. Before joining Calare, Charlie was a Senior Vice-President at New Boston Fund, Inc., a private equity real estate fund manager with $3 billion in assets. Prior to New Boston Fund, he was Vice-President of Marketing for Yankee Advisors, LLC, an alternative investment manager. Charlie graduated from Providence College with a Bachelor’s of Science in Business and received his MBA from F. W. Olin Graduate School of Business at Babson College.